Alfred Nobel died with regrets. After making a fortune off of explosives, he indicated in his will that his fortune should be used to make a prize awarded each year to those who “conferred the greatest benefit to humankind.” By all accounts, his namesake award has been a success — winners are curing cancer, ending wars and discovering exotic bosons. Only a handful of humanity has won a Nobel Prize — be it in medicine, physics, chemistry, literature, economics or peace — all of them distinguished for their exceptional work. Yet the 123-year-old institution has grown increasingly moribund, devolving into a system in which a council of predominantly old men dole out their honors to other old men, often remarkable for their work but relatively unknown outside the small circle of their community. As a result, the prize has grown almost entirely insulated inside academia, separate from more widespread advancements being made in the wider world. So in an attempt to reconnect with the public, the Swedish Royal Academy of Sciences has begun to recognize more controversial figures. When the committee wanted to revitalize the prize for literature, they awarded Bob Dylan. So who could they choose to do the same for the economics prize? Satoshi Nakamoto, the anonymous creator of Bitcoin. 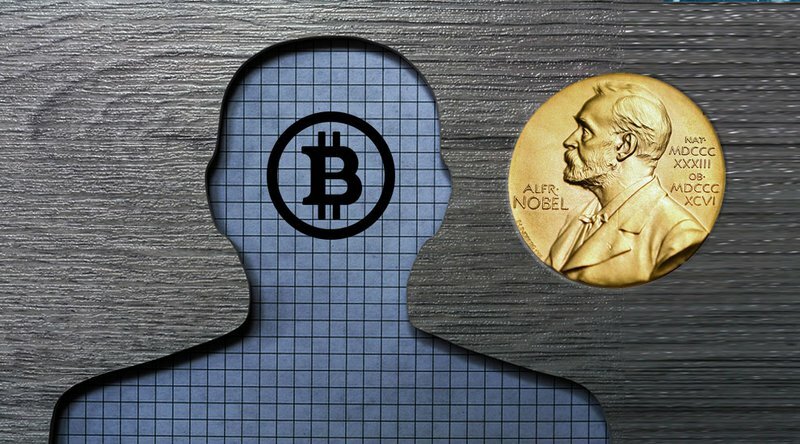 This would be no stunt: Satoshi Nakamoto deserves a Nobel Prize. For the first time in human history, Nakamoto devised a way to remove trust from financial interactions. The creation of Bitcoin is a concrete, irreversible event that today affects the lives of hundreds of thousands of people. It created the foundation for technology that would produce the blockchain, smart contracts and the economic theory of asset tokenization. Most people on the street have heard of Bitcoin. The same cannot be said for Contract Theory or Behavioral Economics — the fields of study that garnered the prize for the most recent laureates. That’s not to cheapen their work — it takes a brilliant mind to advance an entire academic discipline — but cryptocurrency has perhaps had a more public impact on modern economics. It deserves recognition. Dr. Chowdry had a response ready for this critique. As a fix, he proposed accepting the prize on his nominee’s behalf after giving a speech written by the winner, with the prize money being converted into bitcoin and sent to Nakamoto’s most likely digital address. This makes laughable the idea of Nakamoto being an inaccessible hermit. All that would be missing from a ceremony would be the winner’s physical body. In the digital age, where words can be sent instantaneously across the globe, physical presence becomes insignificant and makes Nakamoto’s anonymity immaterial to their presence in the room. If the committee’s obstinance stems instead from a belief that winners must suborn themselves before the Royal Swedish Academy of Sciences, then perhaps they should ask themselves what is more important: the pride of the institution or the achievement of the honoree. Nakamoto would be a challenging winner, for sure: his lack of institutional credit flies in the face of the steady pedigrees that hold up the credibility of the Nobel Prize. But sometimes, subversion infuses an old system with new vigor. The world needs doctors to understand and appraise its systems, but it also needs hackers, disruptors and other such malcontents to, at times, redefine these systems at their core. These actions form the life cycle of any economy, but thus far only the former have received any formal accolade. At a time of tremendous technological and social transition, the committee would show prescience by elevating the work of one of the world’s most dedicated disruptors. The creation of Bitcoin and cryptocurrency marks the most drastic innovation in the economic sphere since game theory, and should be directly honored as such. As the originator of the technology’s philosophy, Nakamoto deserves to be honored for their contribution to the economic thought of the 21st century: a decentralized medium of exchange, self-guaranteed by technology in a way that was not possible at any previous time in human history. Given Nakamoto’s anonymity, this honor would be a symbolic one (although the cash prize would not), but an anonymous award perhaps suits cryptocurrency best. Bitcoin came about through collaboration and continues to expand and improve through the efforts of a dedicated community of cryptocurrency experts. To give any one of them a Nobel Prize would belittle the contributions of the rest. Satoshi Nakamoto, as an unknown representative of the entire field, can become a symbol for the whole of cryptocurrency, which deserves the world’s attention regardless of those involved. If the committee’s only grounds for denying Nakamoto’s nomination are that he won’t present himself, then the Nobel Prize could stand a little decentralization. Alfred Nobel established a prize in his name to foster the ideas and attitudes he wanted to see in the world. The Nobel Prize has never, at its core, cared about those who won it over the reasons why they won. They helped improve the world, and if someone else had done it better, they would have won instead. On the subject of Nakamoto’s nomination, on which the committee is caught between tradition and spirit, the moribund institution of the prize needs revitalization. A dash of controversy keeps things fresh. Let crypto start the next conversation.